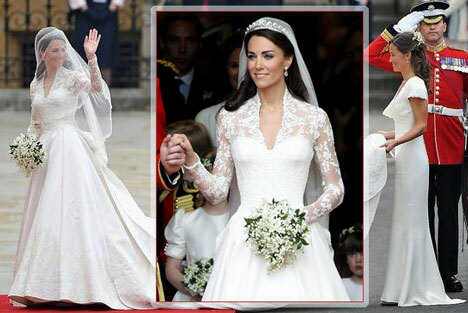 bride.ca | A Wedding Gown Just Like Kate's? "The most royal fashion options, available to Canadian brides!".. Fit for a Royal Bride - Fit for YOU! Arguably the most anticipated piece of bridal fashion of 2011, Kate Middleton's wedding dress combined Grace Kelly elegance with contemporary understatement and will definitely set the tone for the next few months - if not years! Were you Inspired? Did you watch the royal ceremony and think "you know, this would look great on ME!"? Good news.. as it turns out, you can look just like a princess (literally!) tomorrow! 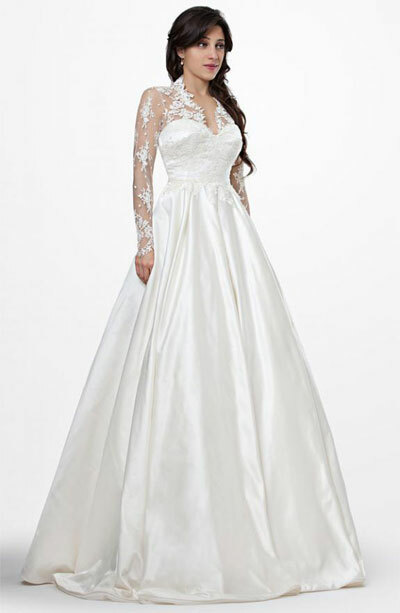 ..a romantic fitted A-line gown with a V-neck bodice with illusion neckline and is complimented with illusion long sleeves made of delicate Chantilly lace. Skirt is made of silk shantung taffeta and features a detachable court train. Retails for $4,389 without train - $5,379 with train. Available in white and ivory. 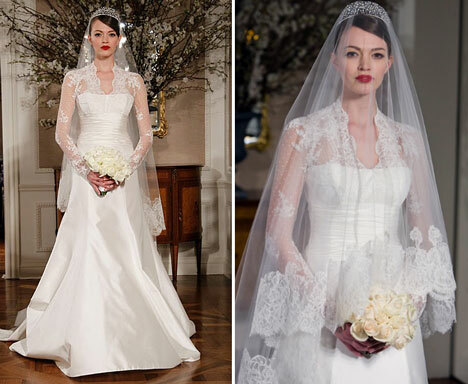 Just for fun, you should seek out Romona Keveza even if you are looking for something like Kate's "other" dress, her reception gown. Here we have Romona Keveza style L251 (also from the Legends Collection) It is made of silk shantung with a Swarofski crystal belt and retails for ~$3509. 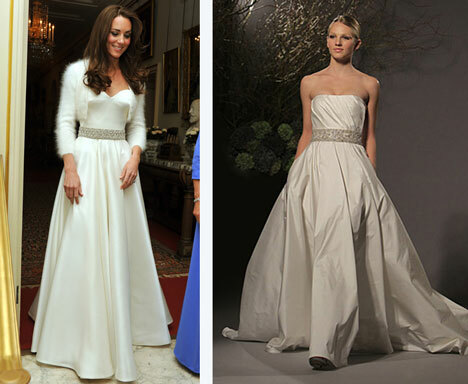 The Mori-Lee Kate-lookalike-gown is actually even closer to the original, don't you think? The neckline V is pronounced a touch more.. just like Kate's dress. It comes from the (very appropriately named!) "Duchess" Line - Style #1707. The catch: it is not available quite yet.. you have to order it (they must have designed it quickly after the wedding) - but if your wedding date is still a few months away, this wis not a problem! This should get you started. Point is, there are all sorts of options out there already. 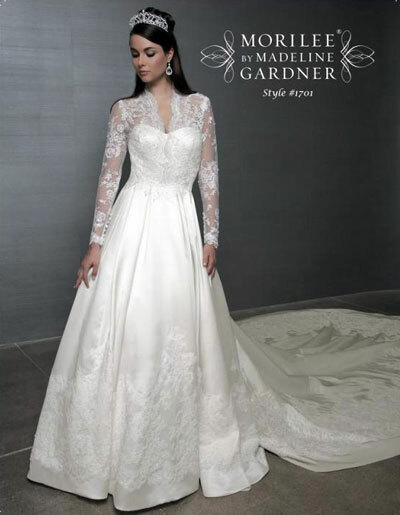 And, of course, you can always work with a talented local gown designer and refine the "royal design" into something that is perfect for you!